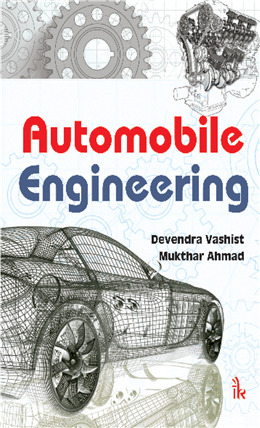 Automobile Engineering By Devendra Vashist | I.K International Publishing House Pvt. Ltd. Automobile Engineering deals with the basic principles on which modern automobiles function. 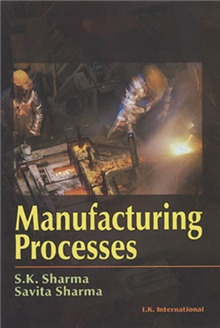 It provides minute details of the components, their working principles and importance in the automobile industry. The language of the book is kept very simple so that any student/automobile enthusiast can easily understand the basic concepts of the components utilized in the manufacturing of vehicles. 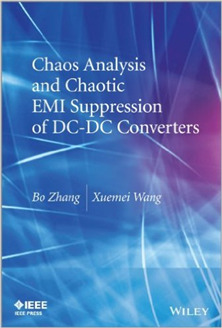 The book includes, clutches, transmission, drive line suspension, steering, brakes, wheels, tyres, emission control, electrical and fuel supply systems, air conditioning, cooling and lubrication along with general maintenance. 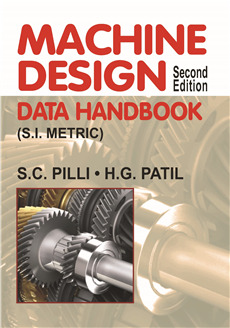 The book will help the students of automobile engineering/mechanical engineering to gain a thorough understanding of the complete chassis. Efforts have been made to describe the latest technologies and developments in the automobiles. 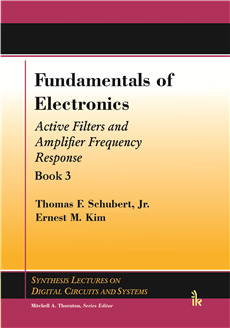 Selected questions on theory have been given at the end of each chapter. 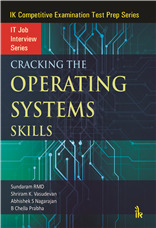 Questions of viva voice/objective type and previous years' questions have been provided. Devendra Vashist :- is currently working as Professor and Head, Automobile Engineering, Manav Rachna International University (MRIU), Faridabad. 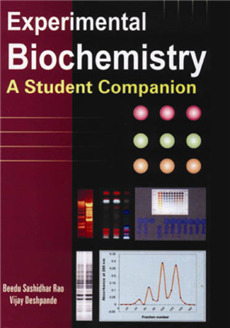 He has published more than 30 papers in national/international conferences and journals. He has completed his B.Tech degree in Mechanical Engineering from NIT Jalandhar, M.Tech in Energy Studies from IIT Delhi and PhD from Jamia Millia Islamia. His areas of interest are automotive studies, thermal engineering, internal combustion engines and alternative fuels. Presently he is working in the area of internal combustion engines and on alternative energy source for automobiles. Dr. Vashist is member and faculty advisor of Society of Automobile Engineers (SAE) student chapter at MRIU. Mukthar Ahmad :- Mukhtar Ahmad is working as Professor at Jamia Millia Islamia University, New Delhi, in the Department of Mechanical Engineering. He completed his B.Sc (Engineering) degree in Mechanical Engineering from Aligarh Muslim University, Aligarh, in 1972. He completed M.Sc (Engineering) in 1975 with specialization in heat power engineering. He obtained his PhD from IIT Delhi in 1991. His fields of work have been two phase flow and production and utilization of biodiesel and alternative fuel. He has published 35 papers in national/international conferences and journals. Dr. Ahmad is member or advisor of the different technical societies.